Graham J Rattray - Funeral Directors of Lossiemouth and Buckie in Moray - Graham J Rattray, Funeral Directors and Monumental Suppliers. There are no notices to display at this moment in time. 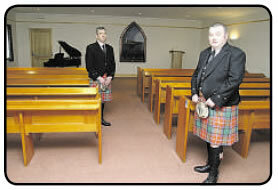 Graham J Rattray, Funeral Directors and Monumental Suppliers. 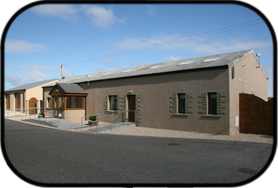 We are a family run business situated in Lossiemouth and Buckie. With 18 years experience in the Funeral business, we have grown to become one of the most successful and experienced companies available in the Moray area. Our success is testament to the commitment shown by our staff who a re passionate about what we do and believe wholeheartedly that the service we provide is not only different to what is on offer by other companies but it is in fact second to none. It is common for people who have just lost a loved one to be unsure of what to do during what is a difficult time in their life. We recognise this and will take over the full burden of organisation, dealing with all aspects of the bereavement from the first call to the erection of the memorial. Our promise is to provide you with the highest standards of care during your time of need, with compassion, respect and openness at all times. The day it stops touching my heart, is the day I call it a day!